The amount of lye needed for the recipe depends on the type, and amount of oils used. Remember to always run your recipe through the Lye Calculator to ensure proper lye and water amounts. Some of the best cold process recipes contain a combination of both hard and soft oils. What is a hard oil, and what is a soft oil? A hard oil or butter is solid at room temperature. Some of the most common hard oils include palm oil and coconut oil. 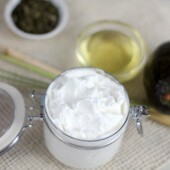 Butters such as cocoa, shea, avocado, coffee and mango are a mix, but most consider them to be hard oils as well. 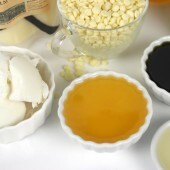 In order to use these oils in cold process soap, they must be melted to a liquid state. Hard oils and butters contribute firmness to the final bar. 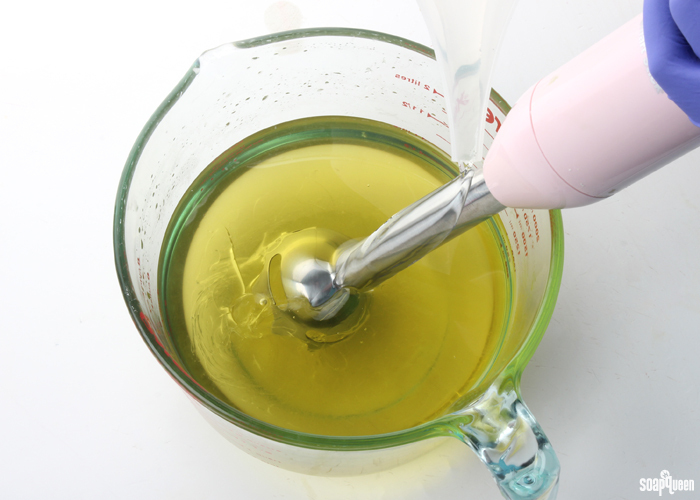 If the recipe does not contain enough hard oils, the bar may be soft or sticky to touch. 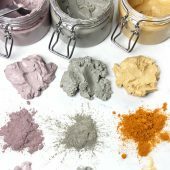 Shown above are palm oil, shea butter and cocoa butter. All three are hard oils because they are solid at room temperature. 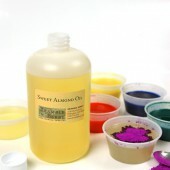 Soft oils refer to oils that are liquid at room temperature. 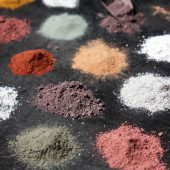 The list of soft oils is expansive, but some of the most popular include olive oil, canola oil, rice bran oil, avocado oil, and sweet almond oil. 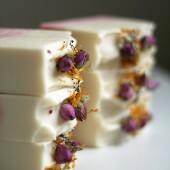 Soft oils contribute skin-loving properties to soap, and ensure it is not brittle. 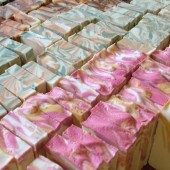 Soft oils also help prevent the soap from cracking. When substituting an oil from a recipe, the first step is to consider what kind of oil it is. Is it hard, or is it soft? In general, hard oils should replace hard oils, and soft oils should replace soft oils. 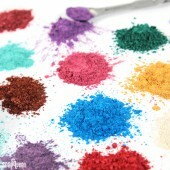 Doing so will help maintain the balance of hard and soft oils. Once you’ve narrowed down the texture of the oil, consider what the oil does for the recipe. 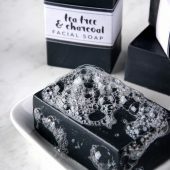 Does it give the soap firmness, moisture, or contribute to the lather? Selecting an oil with similar soaping qualities helps retain the properties of the original recipe. Of course these guidelines are not absolute; For example, if you want to soften the original recipe, you may replace a butter with a soft oil. 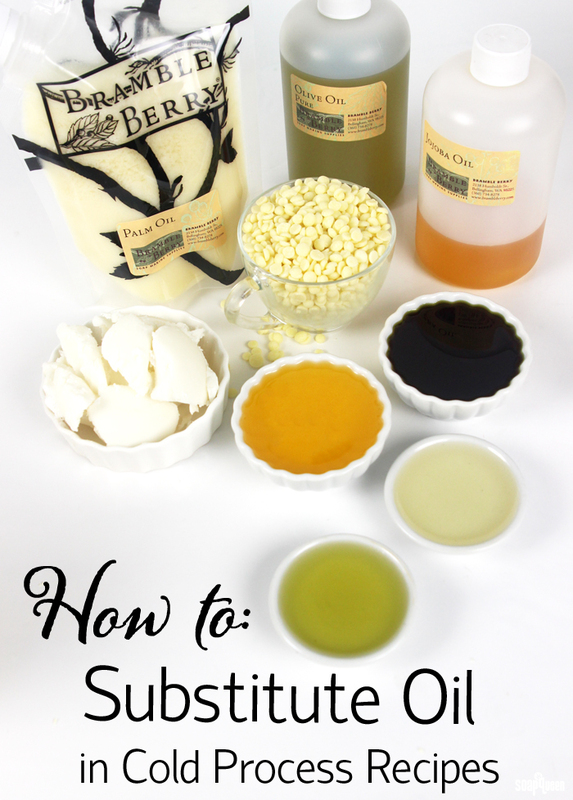 Remember, there are no concrete rules when it comes to substituting oils in cold process recipes. Let’s take a look at the Espresso Shot Cold Process recipe below, which features cocoa butter. The percentage of each oil and butter are listed as well. 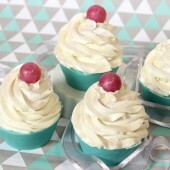 This recipe contains the normal 20-30% of olive oil, palm oil and coconut oil. 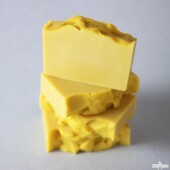 It contains 10% of cocoa butter, which is an extremely hard butter. 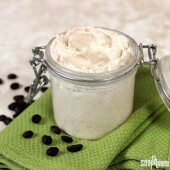 Coffee butter is also a hard oil, but is slightly softer than cocoa butter. Hazelnut oil is light, non-greasy liquid oil that is great for dry skin. You’re ready to recreate this recipe, but realize you don’t have any cocoa butter. What else could you use? The cocoa butter makes this soap firm. 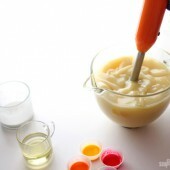 Other oils that give this recipe firmness are the palm oil and coffee butter. One option is to slightly increase the palm oil to 30%, and increase the coffee butter to 10%; increasing these oils will make up for the firmness you lose by omitting the cocoa butter. Another option would be to increase the palm to 30% and the hazelnut oil to 10%. This option will result in a slightly softer bar. Palm kernel flakes would also make a great substitution. However you choose to tweak the recipe, don’t forget to run the new oil amounts through the Lye Calculator! There are many more substitution options for this recipe. The key to substitutions is to consider what qualities the oil gives to the soap, and how it interacts with the other oils in the recipe. 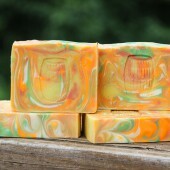 Replacing Palm Oil: Palm oil gives soap firmness and is a secondary lathering agent. 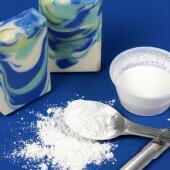 It makes soap easier to unmold, and contributes to a thicker trace. When replacing palm in a recipe, you’ll want to find an oil/butter that contains high amounts of palmitic or stearic acid. 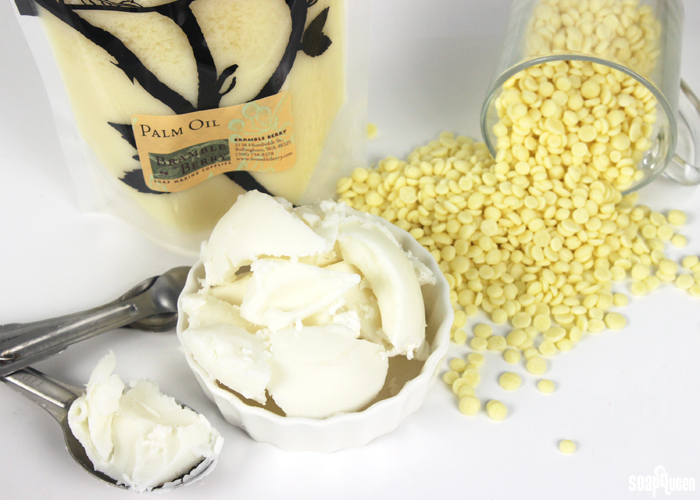 If you are looking to replace palm oil, tallow is a popular option. 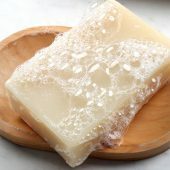 Tallow is a rendered form of beef or mutton fat. 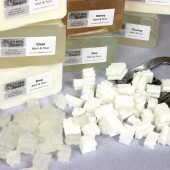 Tallow gives soap firmness, and a creamy lather. 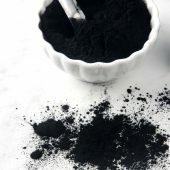 It is not particularly cleansing, and because of this it is often combined with coconut oil. For more information on tallow, click here. 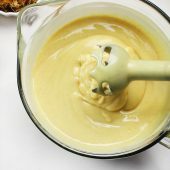 Another option when formulating a recipe without palm, is to use other hard oils such as butters or palm kernel flakes. Keep in mind, palm oil can be used up to 30% in cold process recipes, while butters and palm kernel flakes should be used at 15% or below. 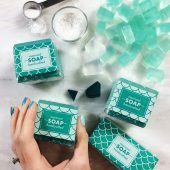 Adding sodium lactate to your palm free recipe helps the soap harden faster, making soft recipes easier to unmold. Sodium lactate should be used at a rate of 1 tsp. per pound of oils. 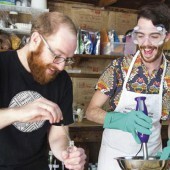 Replacing Coconut Oil: Coconut oil is a unique soap making oil. 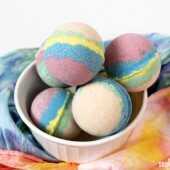 In addition to adding firmness, it gives the recipe cleansing properties and a full lather. Because of its cleansing nature, using more than 30% coconut oil can result in soap that is drying to the skin. In my opinion, coconut oil is the trickiest oil to substitute. If you are looking to formulate a recipe without coconut oil, palm kernel flakes can help. I recommend using 15% or less of palm kernel flakes in your cold process recipe. 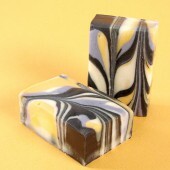 Replacing Olive Oil: Olive Oil is extremely gentle, and gives soap a mild and creamy lather. 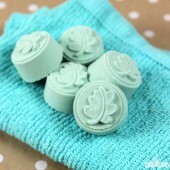 Olive oil can be used up to 100% in cold process recipes; soap made with 100% olive oil is referred to as castile soap. Good substitutes for olive oil include rice bran oil and canola oil. 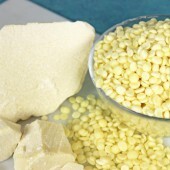 Both rice bran and canola oil contribute a creamy lather, very similar to olive oil. Rice bran oil can be used up to 100%. while canola is recommended at 40% or below. Pomace olive oil is very different from pure olive oil. Pomace olive oil is made by extracting the last bits of oil and fat from the paste left over from pressing extra virgin olive oil. Pomace olive oil speeds up trace more so than pure olive oil, and adds hardness. 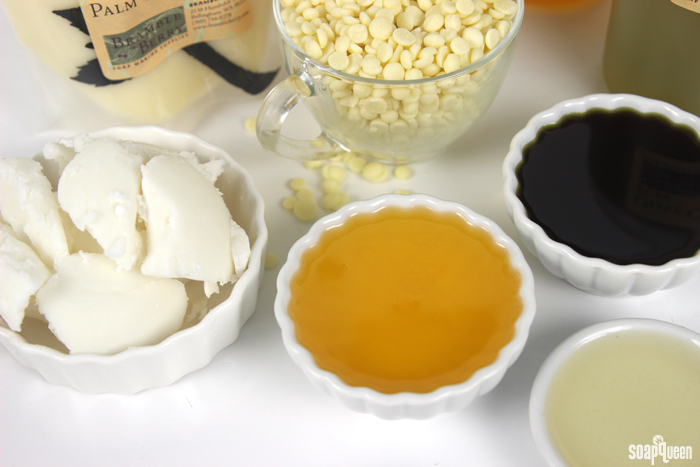 Below is a list of common soap making oils, along with oils that have similar properties. Keep in mind that while oils may have similar soaping characteristics, they may have different usage rates. For example, if you need to make soap without coconut oil, palm kernel flakes also give cleansing and firmness. But, palm kernel flakes have a slightly lower usage rate than coconut oil. 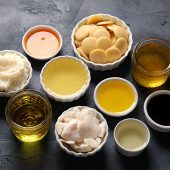 While these oil substitutions will maintain the basic makeup of the recipe, some oils have unique properties that cannot be substituted, like castor oil. And of course, don’t forget to always run your recipe through the Lye Calculator! If you make a substitution, we recommend making a small test batch of soap. 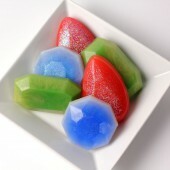 That way you can see how the soap feels with the new ingredient and make adjustments if necessary. 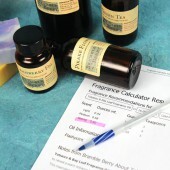 Remember, if you do sub out any oils in your soapmaking, always run it through a lye calculator! When you substitute oils in a recipe, what steps do you take? It’s such a complicated and personal process, and everybody does it a little differently. I would love to hear any tips or tricks you may have! 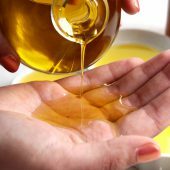 I have a question about Shea Oil ( Not Butter ) Can I use this in soap making? If so which oil would you say it is most like or can be a substitute of. Is walnut oil an acceptable substitute for olive oil? If not, which oil(s) is it similar to? First of all, I’d like to thank you for this post, I have come to it many times, and come away creating successful recipes. I was wondering whether you know of a substitute for sesame oil?in the recipe I am looking at I will be using Palm oil, palm kernel oil, olive oil and cacao butter. So I am looking for a recipe that contains goat’s milk, rose hip carrier oil, olive oil, lye, and dried rose pedals. 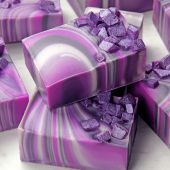 I am very new to soap making and only made soap a couple of times so I was wondering if I could get a little help with the ratios so I don’t make a mistake. 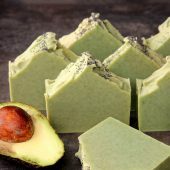 I am always afraid of using the lye and messing up so I am hoping to also find a full proof recipe or guide to making different kinds of soaps. Thanks! Hi! 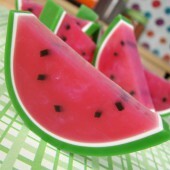 I would love to start making my own soap. 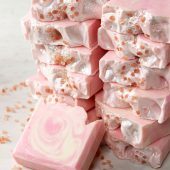 I am looking for a recipe which will give me a very hard, long lasting bar of soap which will also be conditioning. I was thinking of using your Lots Of Lather recipe, but I was wondering if it would help the moisturizing properties to add a few oz. of cocoa butter? I have also read that it will contribute to a harder bar. I just don’t want to mess up a perfectly balanced recipe! The only other thing I am worried about, is that I read that adding a higher percentage of ‘hard’ oils, can make something called a false trace. I don’t know if this ruins the soap or how to prevent this. Do you think that adding, say between 5-10% of cocoa butter could cause this? Also, I am planning to scent my soap. 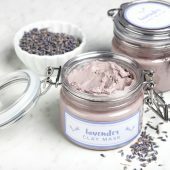 Should I get deodorized cocoa butter so that it isn’t noticeable, or do you think it wouldn’t make a big difference in a small quantity like that? And, I’m going to be adding essential oils for the scent. Should I add that when I calculate the lye? Thanks for you patience! I know I have a lot of questions, and I hope I don’t overwhelm you! If you’re not a fan of the natural chocolatey scent of cocoa butter, deodorized cocoa butter would be a good idea! It won’t scent the final bars. I only have one more question. 🙂 I am trying to find a good thermometer to use for the process. 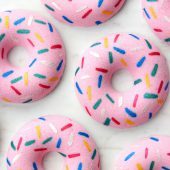 Would a basic candy thermometer work, or would you recommend something different? Do you have laminated cards/pages for sale with soap making tips such as the substitution list above? Thank you! We don’t have cards for this substitution list, but we’ll definitely keep that in mind. Thanks for your suggestion! Viet Nam is my country. We have plenty of Gac (Momordica Cochinchinensis) oil here. 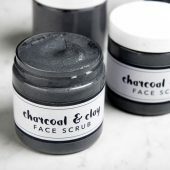 I’d like to use this oil for soap making and hardly run it through Soapcalc.net since it is not listed there. Do you have any suggestion? I have a recipe that calls for olive oil, coconut oil, sunflower oil, and cocoa butter. 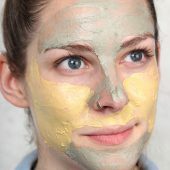 Do you think I can I use avocado oil in place of sunflower oil if I run it through a lye calculator? 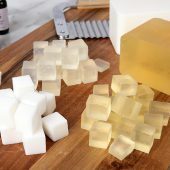 Hi, im a beginner at soaping and would like to make some sugar scrub cubes using M&P, the recipe I have calls for shea butter. Could I substitute this for coconut oil? I have a recipe for Goats milk soap that calls for. 4lbs olive oil, 2lbs8oz coconut oil, 1lbs8oz palm oil, 1/2lbs goats milk, 2and1/2lbs water, 473grams sodium hydroxide, I love it but recently I was given a 50lb box of hard palm kernel oil, can I use this up some how or was I given this cause it’s not good for soaps? If you could help me adjust the recipe I’d be grateful! Thanks for your helpful post! Thank you so much for this post. I am nut and coconut allergic. I was looking for just such a post as this to guide me in substituting ingredients. I don’t know if using these oils on my skin would be harmful to me or not but I’m also not sure I want to find out the hard way! I live in Venezuela, so I can’t find this oils easily. I just have coconut oil, soy oil and some sesame oil. I’ve made some batches already, but they turn out a little hard and not so skin gentle. I mean, they don’t itch but they don’t moisturize either. What do you recommend? I was thinking in some cow milk, honey and oat to add some good properties to my soap, but I don’t know If that will work with these oils. Thank you!! I love your page. Thank you, glad you love the blog! 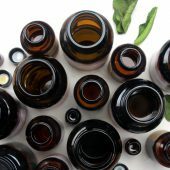 Is there a substitute for Camellia Oil, also known as Tea Seed Oil? I can’t find any information on it. Thanks! I must have missed this question. I am so sorry about the delayed response. Can i just use olive oil, coconut oil castor oil and shea butter and not to use palm oil? Why can’t castor oil be substituted? 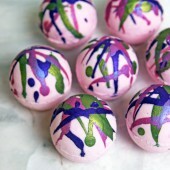 I guess what I’m really wondering is, is it possible to make a shampoo bar w/o castor oil? I have tallow, coconut oil, olive oil and everything to make my first batch of CP soap (lye, molds, stick blender, safety gear…). 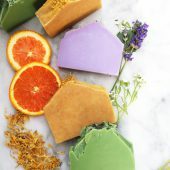 Actually I’ll probably make a simple tallow soap for my first batch, but am very intrigued by the idea of a shampoo bar. I’ve been washing my hair with baking soda, rinsing with ACV for a couple few years now, but my daughters won’t. I think they might be open to trying a shampoo bar (esp. if it lathers & even smells nice!). Any thoughts or do I have to “bite the bullet” and order some castor oil? Castor oil is a unique ingredient! It has a thick, slightly sticky texture. 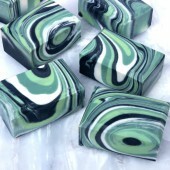 In soap, it adds cleansing and bubbling properties. We haven’t found another oil that acts quite like it. 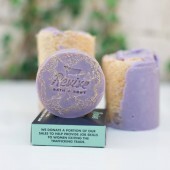 In shampoo bars, it helps to cleanse and moisturize the hair. It also makes the bars a bit softer so they spread easily on the hair. You can leave it out of your recipe if you like! Coconut oil adds great cleansing and bubbling properties, and can be used up to 33%. To help add some moisture and softness back into the bars, you can add olive oil at a higher percentage (40% or so), then the rest of the recipe can be tallow. 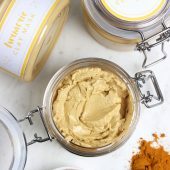 What might be a good sub for argan oil, both in soaps and lotions? I’m following a lady’s recipe for hp db method and it calls for Olive, coconut, palm, castor, and sunflower. Sunflower oil is the only one I don’t have. Do you have a recommendation for substituting, or could I just add more of the others to make up for the sunflower? Also, do you recommend testing it with a ph tester? 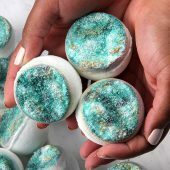 I’m completely new to soap making! 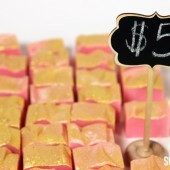 I made my first batch of soap last week using the cp method. I feel like I have so much to learn. And I totally stink at figuring out the percentages and ounces for recipes. I should’ve paid more attention in math class! 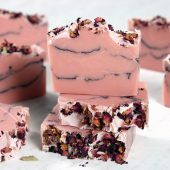 🙂 Would love to create my own recipes but for now I’m just going to follow tried and tested recipes from Soap making sages…Like yourself. This is such great information. Thanks so much for all the sharing you do…it’s very generous! 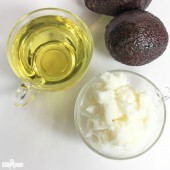 When making your body butter using avocado butter, can I substitue the jojoba oil for the meadowfoam oil using the same measurement? You can use jojoba oil in place of meadowfoam oil! Both are lightweight oils that feel great on the skin. If you don’t have jojoba oil, you can use another lightweight oil like avocado or sweet almond. Thanks for the super helpful info! Just wondering about substitutes for Sesame Oil? Thanks! I was hoping to find macadamia nut oil, pumpkin seed oil, and soybean oil in the above listing. Any suggestions for their substitutions? I’m having a hard time finding them. Along with corn, neem oil, rosehip seed oil, and wheat germ oil. Sorry, I’m newer to soap making. I’m trying to gather and absorb as much information as I can. Also, red palm oil can be substituted with regular palm oil correct? Thanks so much! Pumpkin seed oil: Apricot kernel oil. Keep in mind, pumpkin seed is darker and has a distinct aroma. 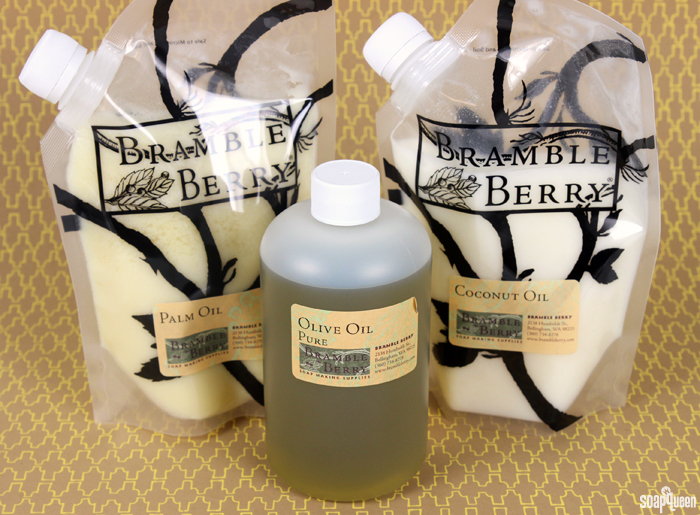 Why aren’t there any lye calculators that include chia seed oil, including Bramble Berry’s? Never mind. My eyes were playing tricks on me. I’m going to make a recipe from your milk e-book called “Here Comes the Sun”, which uses Walnut Oil. I don’t have any Walnut oil, so I came to this post to check for any possible substitutions, but I can’t see any. If there’s one, please let me know… otherwise I will just omit the Walnut Oil from the recipe. For that recipe, you can increase the Avocado Oil or Sunflower Oil and still get amazing results. Just make sure to put the recipe through the lye calculator to get new amounts of lye and water :). You could also use another lightweight liquid oil, such as chia oil or sweet almond oil. I hope this helps! 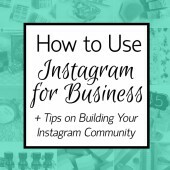 You should make this a pdf! i love printing out these pdf charts and putting them up on the wall where i soap! 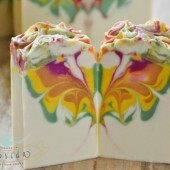 I want to make goat milk soap with hemp seed oil and coconut oil. Do you have any suggestions or recipes for this? 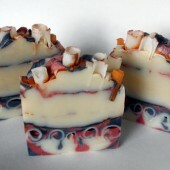 I’m a first time soap maker btw so any other tips or advice would be awesome! Thank you. You can use coconut oil up to 30% in your recipe. 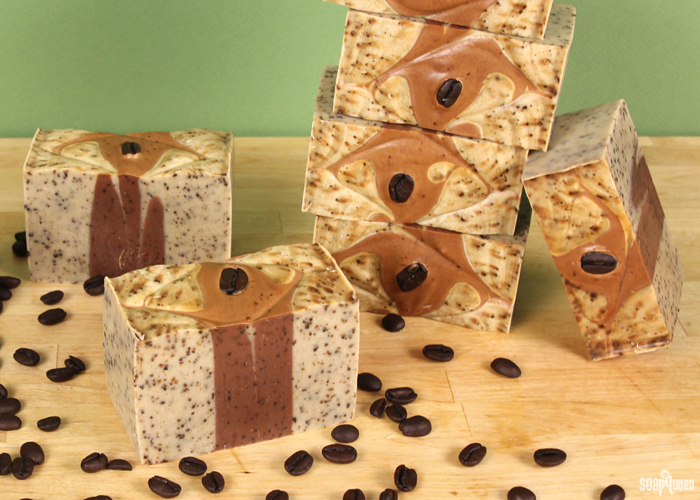 It adds great cleansing and lathering properties to the soap. 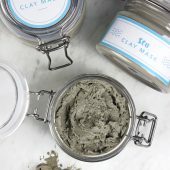 Hemp seed oil adds some luxury, and lathering properties too. We recommend that at 20% or less in your recipe. I’m all out of Shea Butter (unrefined), but I have a new bottle of Shea Nut Oil (refined), which I’m planning to use for my next batch. I see that both have the same ingredient (Butyrospermum parkii) so I assume I can use them interchangeably in my recipe. I just need to know if the Shea Oil box in the lye calculator is the one that I should use. 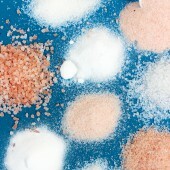 While they may have the same ingredient, texture also plays a role in substitutions. 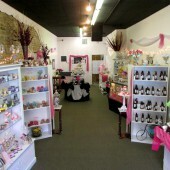 Shea butter is solid at room temperature, while the shea nut oil is liquid. That means your soap will be softer in texture. 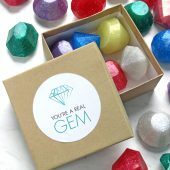 A small test batch would be helpful for you! Thanks for this great post! Very informative. I’ve been playing with different oils and this helps. Interesting. I use Palm Kernel at 18%-27% all the time, and don’t need sodium lactate. Why do you recommend less than 15% palm kernel? I’ve used Babassu oil in place of coconut oil! It works really well, though it is more expensive. Thank you for the information, it is going to be very helpful; and thank you for sharing. 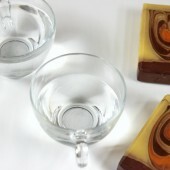 For the Espresso soap shown did you use the 10L silicone mold? What is the thickness? I love the size of those chunky bars? Also, these bars were a little thicker. We don’t have them anymore, but I believe they were about 1 1/2″-2″ thick.